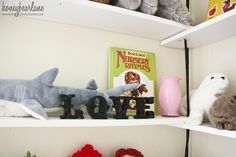 Whether you need shelves to display your latest collection, extra space for all your books or a convenient place to stash your kids' toys, you're sure to find shelving for every purpose and style. 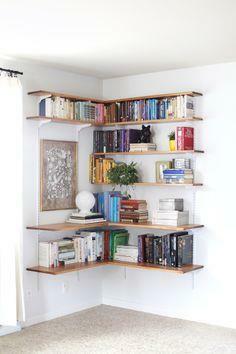 With shelves made from fine woods and veneers to shelves made from reclaimed barn lumber and pallet wood, there's a style that fits your lifestyle and decorating theme. 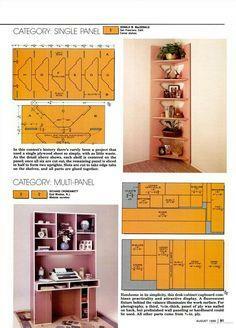 Use these plans as a starting point and adapt them to fit your space. 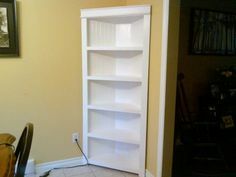 From fine, finished cabinetry to rustic, shabby chic styles, your home will finally have all the storage space it needs. 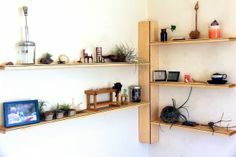 Suggested materials include barn wood, reclaimed pallet wood, twigs, MDF board, plywood, live edge wooden slabs, dowels, dimensional lumber, plumber's pipes and fittings and pre-made molding. 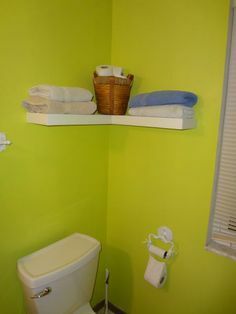 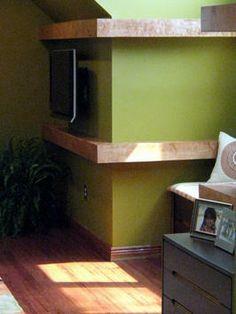 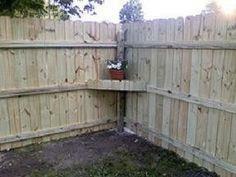 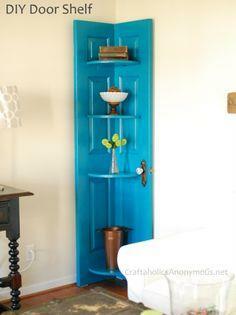 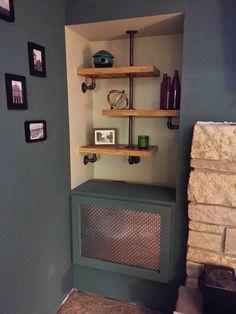 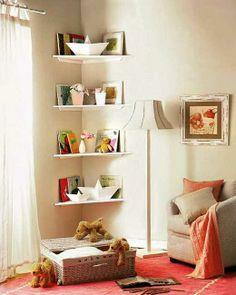 Every house has corners and almost everyone needs more storage space. 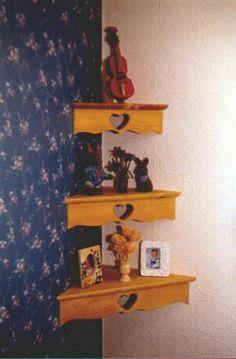 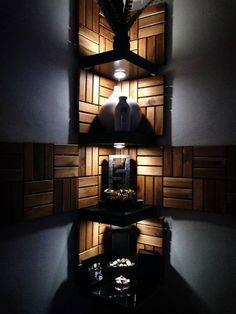 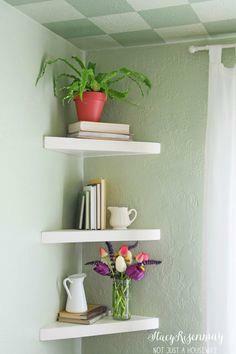 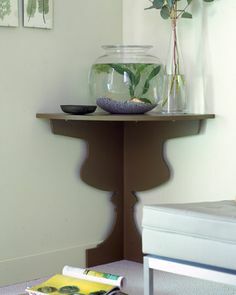 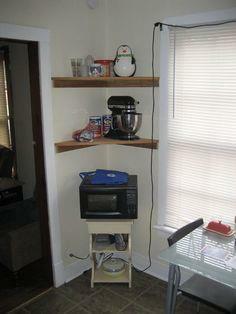 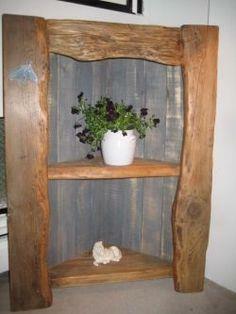 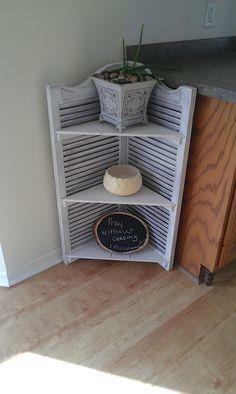 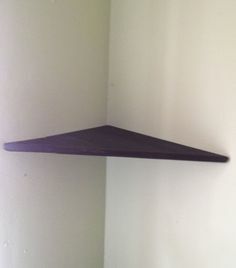 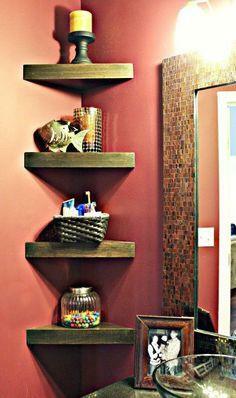 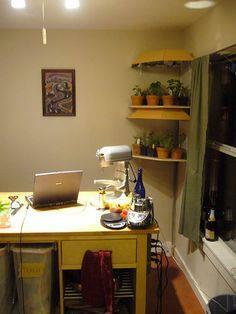 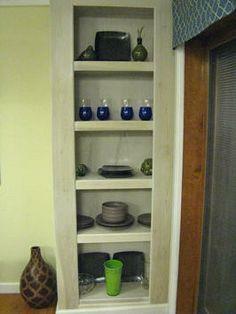 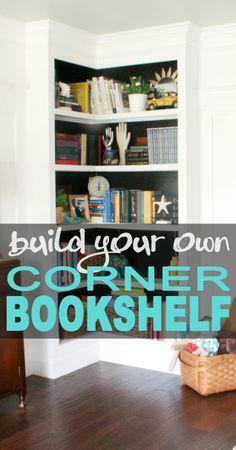 Put those corners to work with corner shelves of every size and shape. 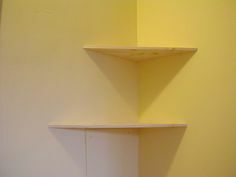 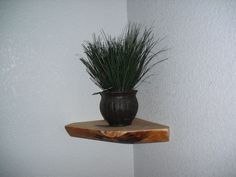 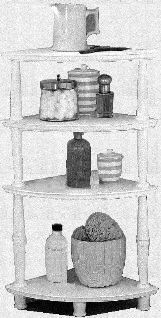 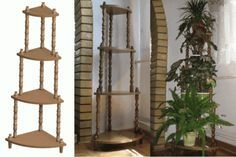 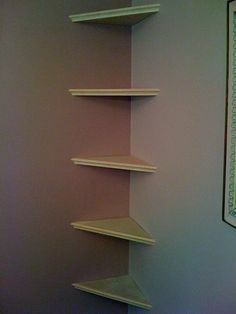 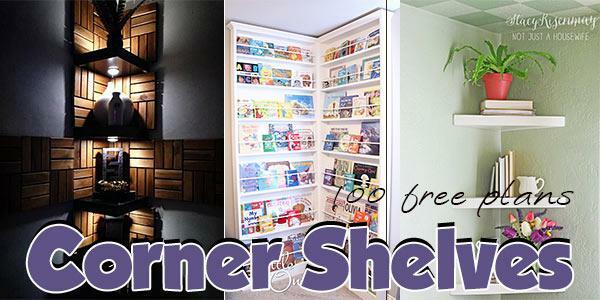 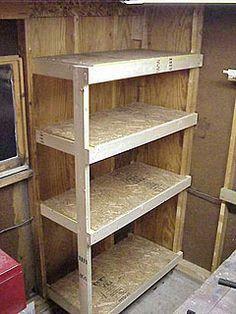 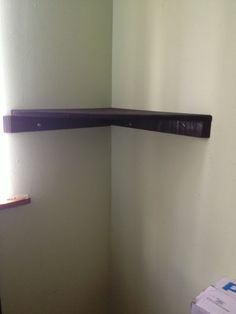 Check out this super collection of corner shelf plans and choose one that's right for your home. 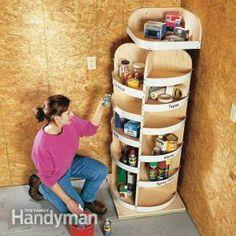 They're so easy, you'll probably make several, and finally have room to stow all your stuff! 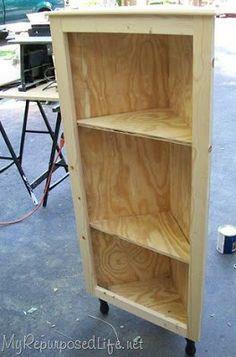 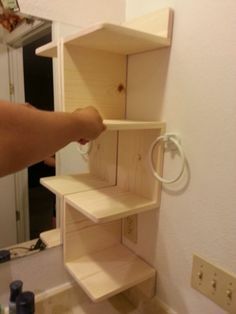 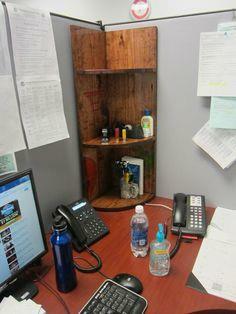 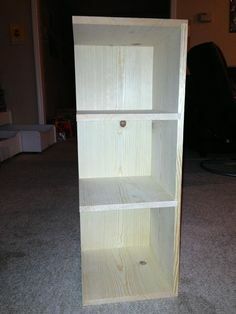 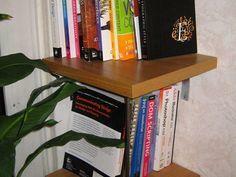 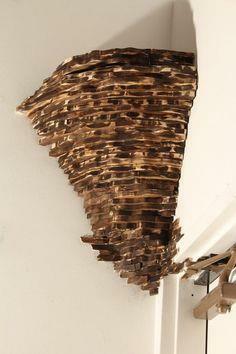 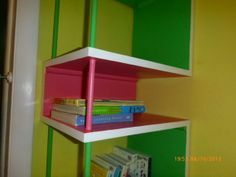 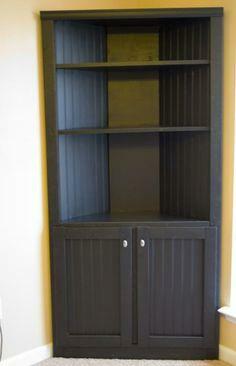 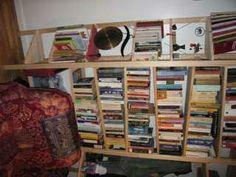 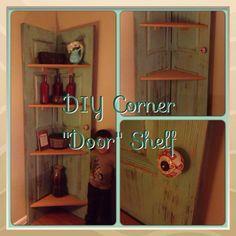 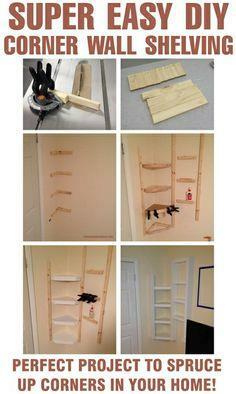 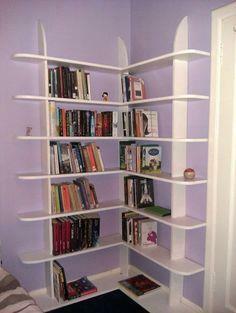 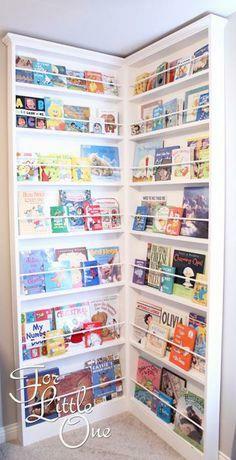 - Corner Bookshelf for kids.